Mandy Clegg at Olympic Sports Gym - Ashton Under Lyne, Tameside. 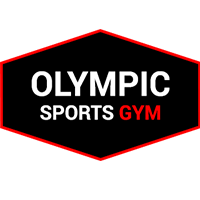 Mandy has worked at Olympic Sports Gym for over 10 years. Since working at the gym she has ran several classes from primary school children, children with disabilities, high school and college classes. In 2012 she talent spotted a local girl in the gym and trained her to be Britains Strongest Women 2013! Mandy is available for one to one personal training session and will help you train and put you at ease straight away.